Young female rapper AT has revealed her new single titled ‘Made Me’ after a long hiatus from music. The DJ Babus produced cut sees features from Poe and Fefe. Signed to AGE (Another Great Empire) ‘Made Me’ follows up from AT's previous releases including ‘The Climb’ mixtape, ‘Rude Gyal Demo’ and ‘OMG Remix’ featuring Peter Clarke. 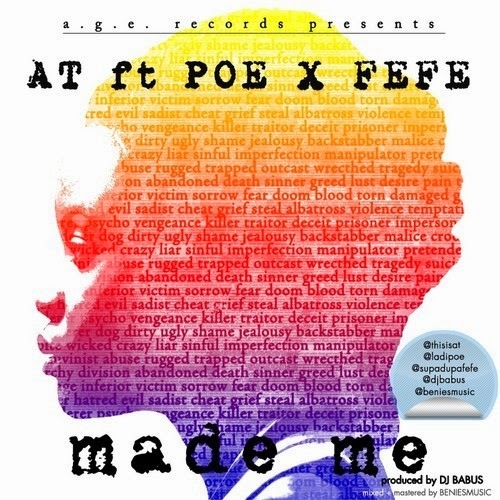 ‘Made Me’ features fellow label mate - Fefe as well as witty punchline fanatic Poe. This is not the last we're hearing from AT as she's set to release more music throughout the year.